Today‘s Featured Trip (Willow Creek Kennels): The weather planned for Saturday was 2-degrees above zero. 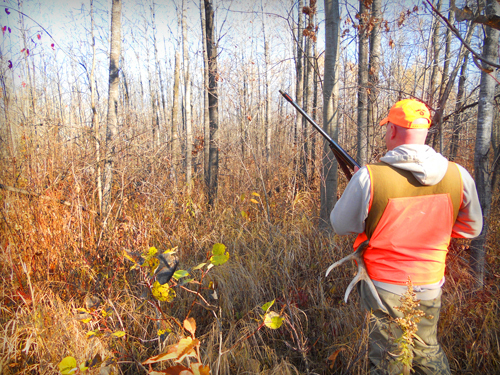 It was cold — but soon, after huffing and puffing, my shotgun barrel was warm and the dogs went into action. 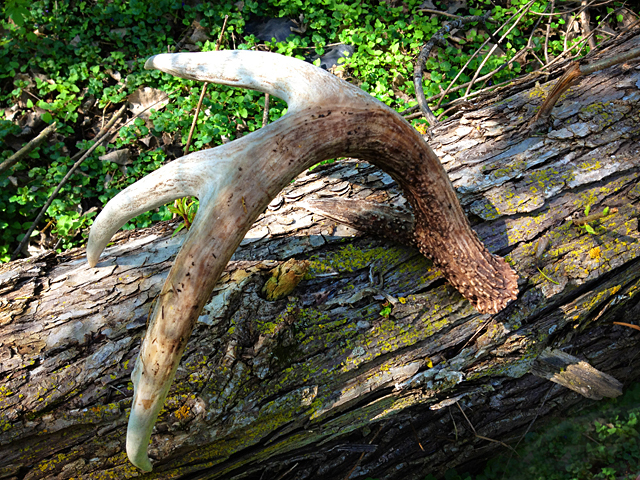 While searching for Morel mushrooms, I found this antler shed from a ten-point buck. I don’t know who was more surprised, while walking only a few more steps, I could see a large deer running with a doe. 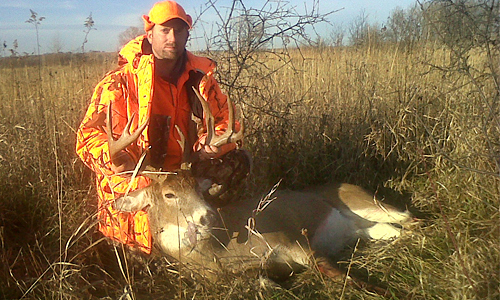 Could this be the buck that lost this antler? As I continued my search for Morels, I spotted turkeys, coyotes, owls and Wood Ducks. A beautiful fall day hunting. Jackpot Junction Finds Minnesota Winner! Some call it luck…I call Fate. 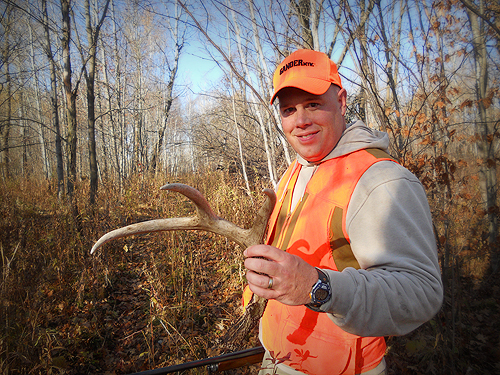 This fall, my buddy Brian and I walked the trails hunting for grouse only to find this ivory memento of a large eight-point buck. Congratulations! What A great find!